If you're looking for Seclusion with the convenience of being within minutes of Vidalia and Lyons Shopping and Schools, this is it. 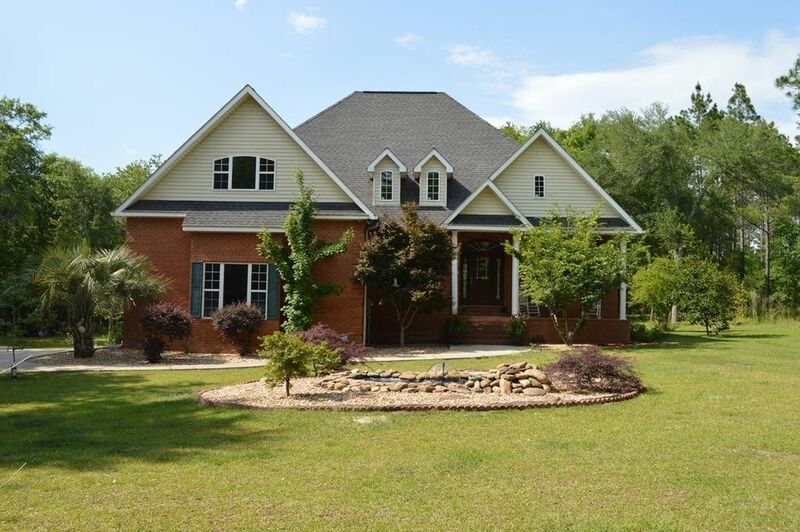 Situated hidden away on a 4.82 acre lot, this beautiful brick home boasts a beautifully landscaped yard with front porch with a view of the large koi pond with water feature, rear deck and screened back porch. Inside you'll be welcomed with high ceilings, a kitchen with solid surface countertops, and stainless appliances. This open floor plan features a spacious great room with gas log fireplace and floor to ceiling windows. The master suite features double closets and a bath suite complete with garden tub and tiled shower. Call Tammie Gibbs today at 912-293-2899 to schedule a private tour.